When we paid Jo of My Home Food That’s Amore a visit this summer, she gave us some goodies including a box of calamarata pasta. Thanks, Jo! The name of this pasta sounds like calamari, because these pasta rings resemble rings of calamari and have been named after them. 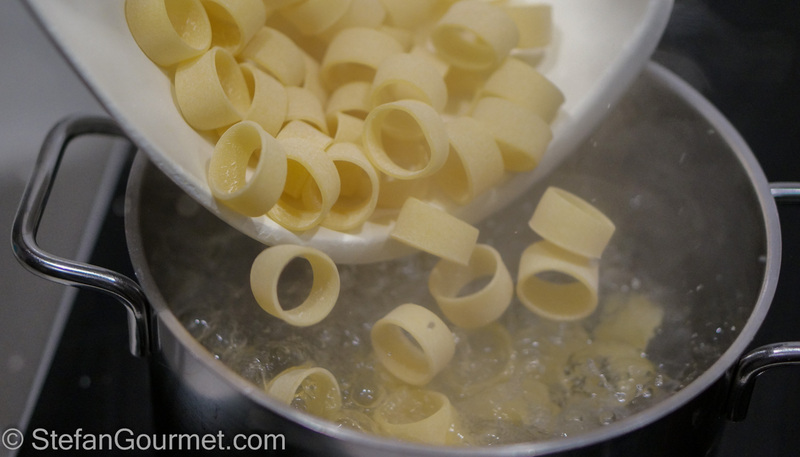 Calamarata are a pasta shape from the south of Italy. 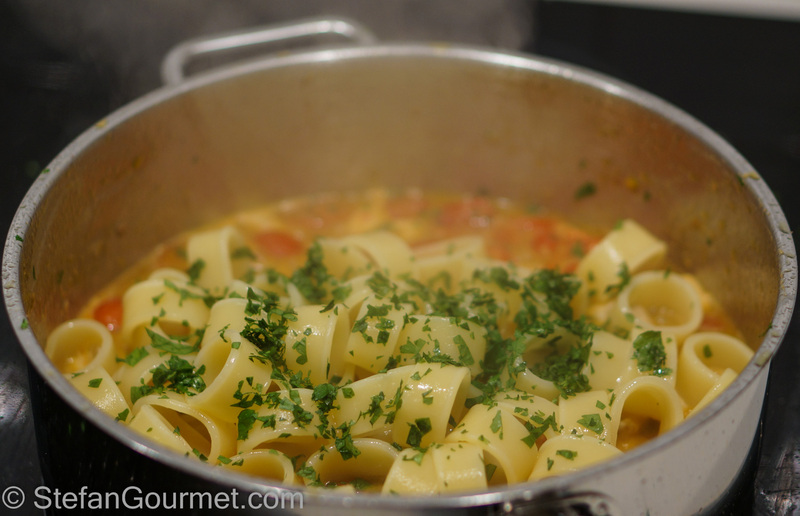 I looked for a recipe and found Calamarata con ragù di pesce spada on Giallo Zafferano. This summery pasta dish can also be made with another similar pasta shape such as mezze maniche, mezzi rigatoni or paccheri. 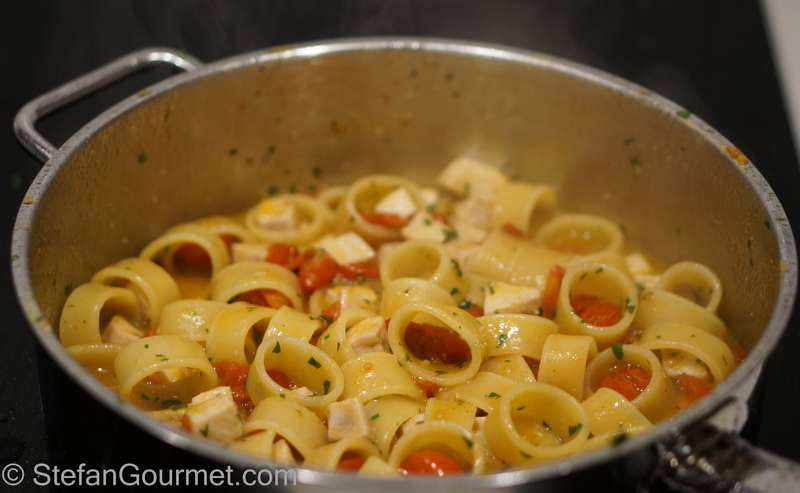 It is tasty, quick and easy to prepare and only takes as long as it takes to cook the pasta. 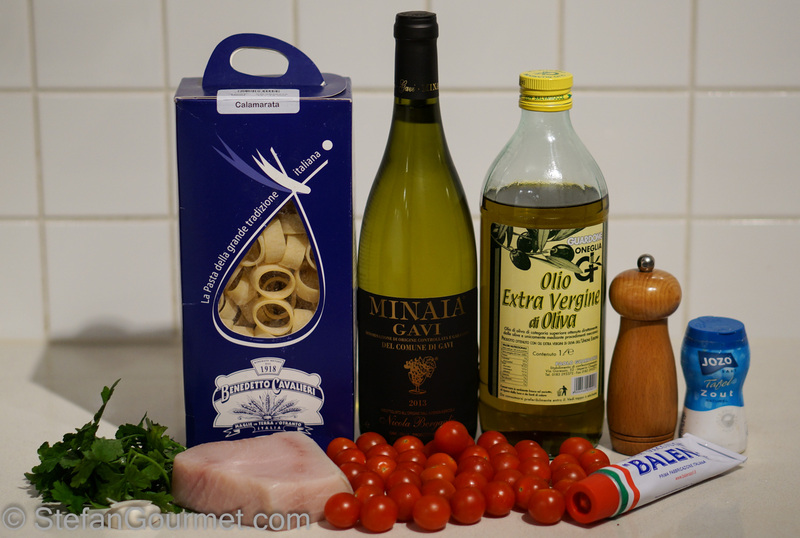 As with most Italian recipes the key is to use fresh ingredients and not to overcook the fish. Bring a pot of water to a boil. 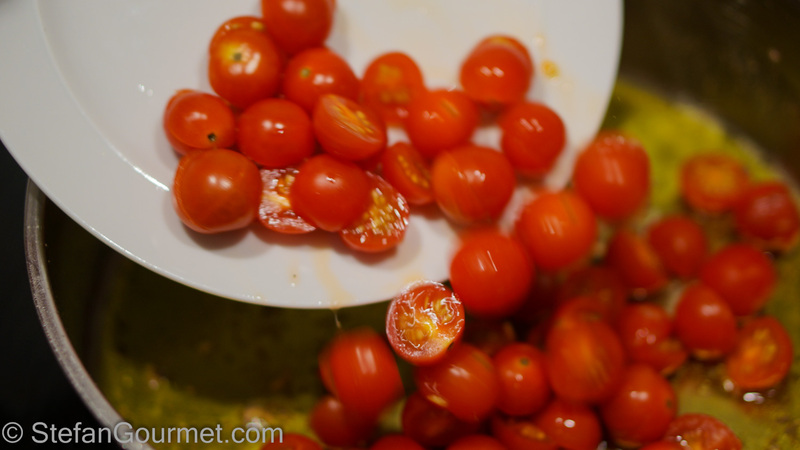 Add salt and the calamarata and cook al dente according to package instructions. Heat the olive oil in a frying pan. 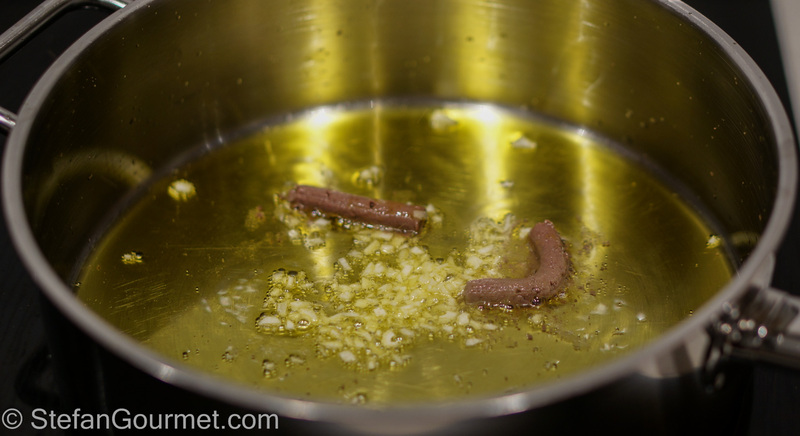 Add the garlic and anchovies, and sauté for a minute or so until the anchovies have melted. Do not allow the garlic to brown. Season with salt and cook for a few minutes over medium high heat. 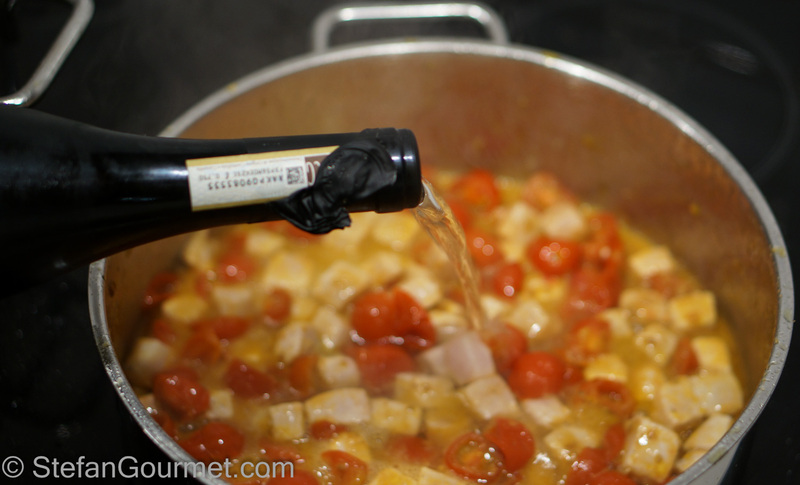 Add the white wine and cook for a minute. 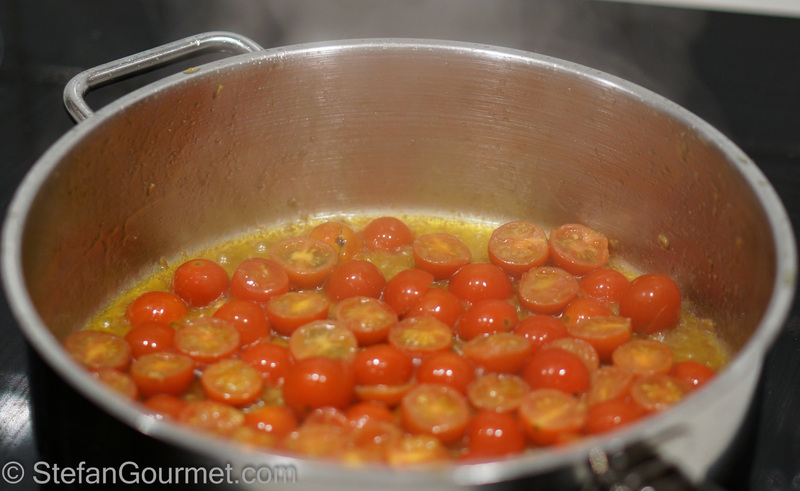 When the pasta is cooked, drain and add to the ragù. Add the parsley as well. 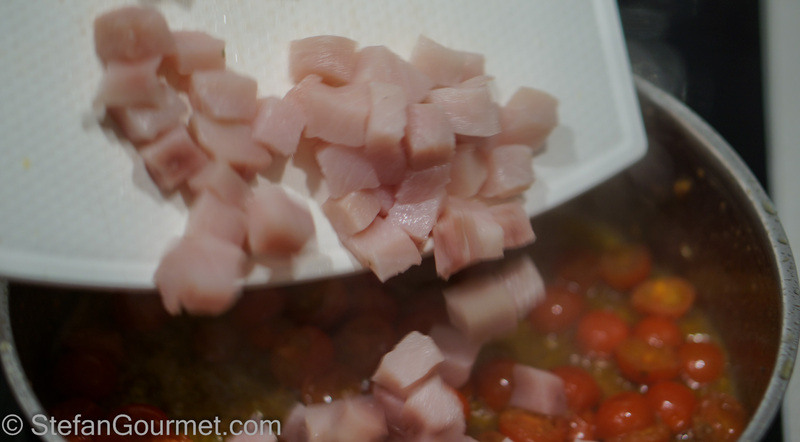 Toss to mix and cook over medium high heat for a minute or so to make the sauce less liquid and to finish cooking the swordfish. Taste and adjust the seasoning with salt and freshly ground black pepper. Serve on preheated plates. Do not sprinkle with cheese. This is great with a Gavi di Gavi or another dry Italian white. 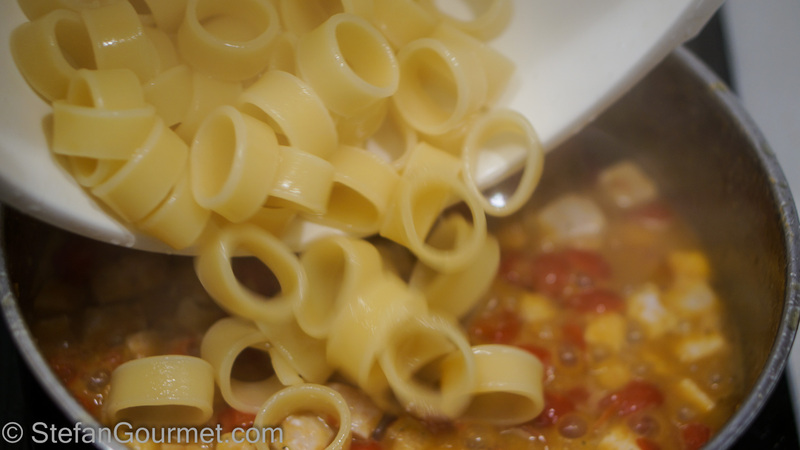 Spaghetti Puttanesca is another pasta dish that is tasty, quick, and easy to prepare using ingredients from your pantry. I’ve bookmarked this to try, it sounds delicious! Thanks Sandra, I’m pretty sure you will like it. You’ve shared another great one, Stefan. I’m getting ready to start dinner and, after reading this, I think it will be pasta tonight. 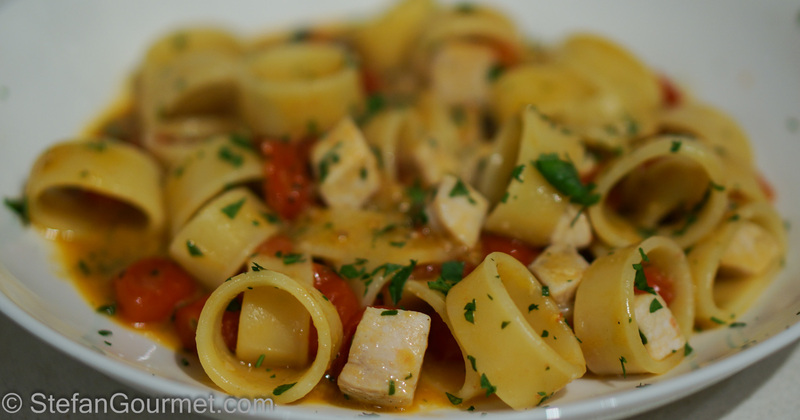 I really like using relatively few grape tomatoes to dress pasta dishes, especially with delicately flavored ingredients like swordfish. Sometime down the road, I’ll be giving this a try. Thanks!